The meaning of the pic is to show the kind of path we’re all going. On the left side we have the oldish, familiar looking environments. While on the right we have the monstrous huge futuristic city that seems to literally eat the people, their lives and lets them appear soooo small that they almost don’t count anymore. The old bridge is a kinda symbole to show that both parts are still connected and that only you alone decide to take that walk into the future or not. On the other hand… it’s just a cool sci-fi based artwork. First of all i want to tell those super critique folks that this pic is far from perfect, i know that. There’s, once again, lots of experimental stuff in it. It’s very different to the stuff i ever did before. Basically it’s a very big huge mo0onster photo manipulation. 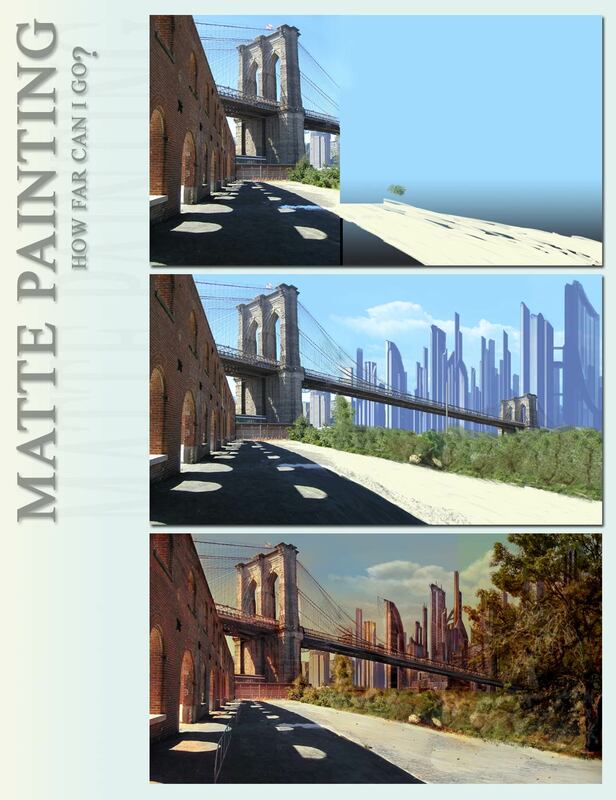 You ask yourself why it’s call matte ‘painting’ then. That’s what i ask myself too sometimes lol. But it’s true. In some ways it is a painting. In others not. Since you work with a tablet and pen… you first block in all the stuff you want to have in your pic. That’s the painting part. Once you nailed down the composition and main elements, you move into the manip part and the painting work takes a step back. Once the manip part is done, you move into painting again to add detail where it’s necessary. 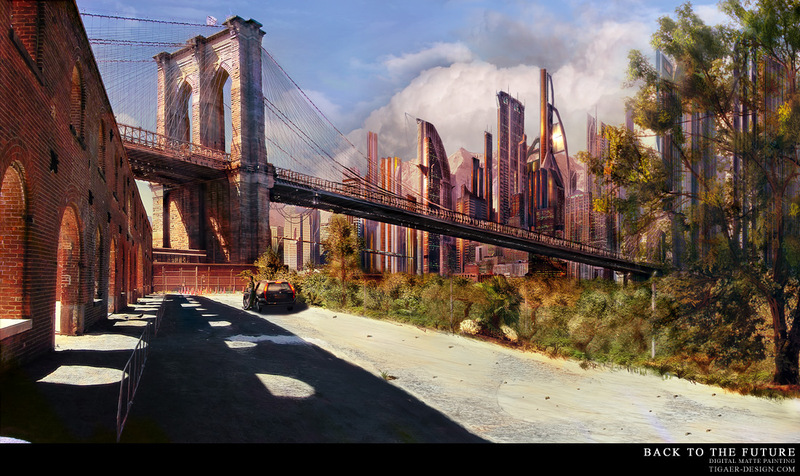 Todays digital matte painting is a variety of mediums. From usual photos to high detail 3d to excellent paintings… all combined in a single pic. This entry was posted on Tuesday, March 28th, 2006 at 21:10	and is filed under Artworks & Archive. You can follow any responses to this entry through the RSS 2.0 feed. You can leave a response, or trackback from your own site.